comes a fun new novella about finding your way…at the beach. 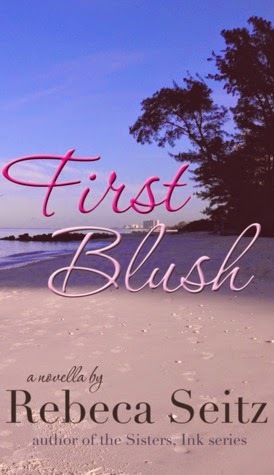 I picked up First Blush to read on a rainy Sunday afternoon and was immediately transported to the warm sandy beaches of Naples, Florida. I enjoyed spending a bit of time getting to know the witty yet jaded Elizabeth Bakersfield. She is such a delightful square peg in a sea of round holes. She has 'one of those' mommas that you just wonder why you are still so intimidated by at the age of thirty! When Elizabeth is returning a vase to Ganderley's we are introduced the the delightfully eccentric sisters that run the place. They quickly bring Elizabeth on board to run the place while they do a bit of jet setting. My only disappoint was that they were gone so quickly that we really didn't get to enjoy them to the fullest. During her first day of running the business on her own she meets the oh so handsome Nicholas Harrington. Nicholas is a distant relative to the Ganderley sisters and helps with the business. But there is something mysterious about him. It leaves you wondering, who is he really? 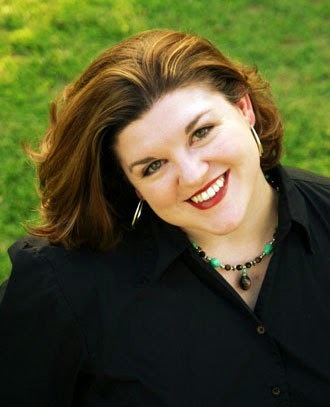 The author, Rebeca Seitz, has an amazing way with words! The story and the characters drew me in but before I knew it it was over. The upside of a great novella is that the story is by necessity fast paced and quickly gets to the meat of the story. First Blush meets all of those criteria. The downside of a great novella is that they are over before you are ready to let the story go. In this case there are several loose threads that need to be finished to satisfy me. According to the listing on Goodreads, this is just the first of a series. I pray that is so because I need more of this intriguing story!